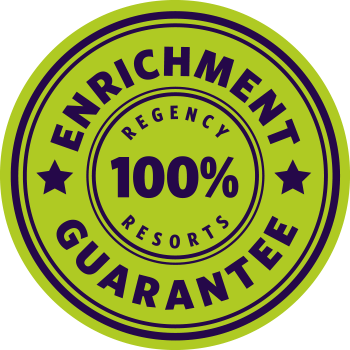 Each Regency Retirement Resort is carefully designed to encourage and promote a healthy, happy and enjoyable lifestyle for our residents. Each resort has its own “Fun Force” Director whose only job is to make life more fun for our residents. Whether your interests lie in wine making in the wine cellar, playing bridge in the card room, working out in the fitness spa, playing a game of pool in the sports lounge, receiving a personal massage in the private treatment room or catching a first run movie in our full feature private theatre, there is always lots to engage you at Regency. Come enjoy life, and make new memories with us at Regency! Take a look at our photo gallery to see for yourself what life is like at Regency. View our video gallery to see how Regency defines life enrichment and fun. Find out what living at a Regency Resort is like from some of our residents.